“Brothers, what we do in life echoes in eternity” Every football team in every season has one defining event, the moment that decides the fate of the team, the players, the manager and the club. That moment may be a refereeing decision, a piece of individual brilliance or simply a team collectively not turning up on the day. But you can look back at the history books and find that compelling event. In this season’s Premier League there have been many, but if Manchester United take the title, many will point to the events of Easter Sunday as that moment when United got a fortuitous refereeing decision in their game versus QPR and then a few hours later Mikel Arteta’s last minute winner for Arsenal against Manchester City all but ended their challenge. But for Lewes that moment still hasn’t really happened yet, or so we think. We could point to the last minute equaliser at home against Lowestoft Town, or Billericay Town’s 93rd minute winner in March. 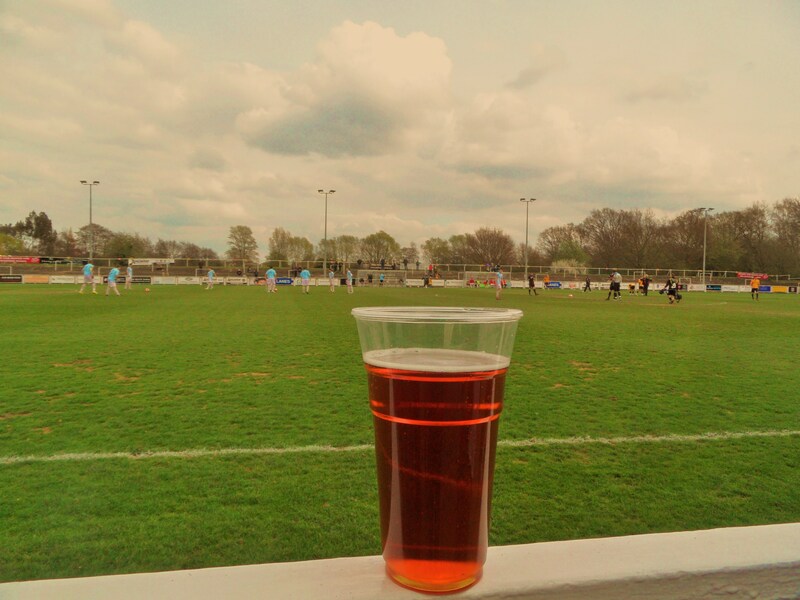 But with games running out perhaps the most defining moment was going to come at Hayes Lane, BR2 when the Rooks were going to take on Cray Wanderers. Fifth place taking on sixth, separated by just one point. A draw would open the door for Hendon, Wealdstone or Canvey Island; defeat for the Rooks would almost spell the end of the play-off charge; a win for Cray would see them with a foot in the end of season lottery. The mood around the club had been improving almost every day since mid January. The all conquering Lewes Ladies, the Rookettes, had secured the South East Combination title some weeks ago and would be welcoming the likes of West Ham, Queens Park Rangers and Tottenham Hotspur to the Dripping Pan. 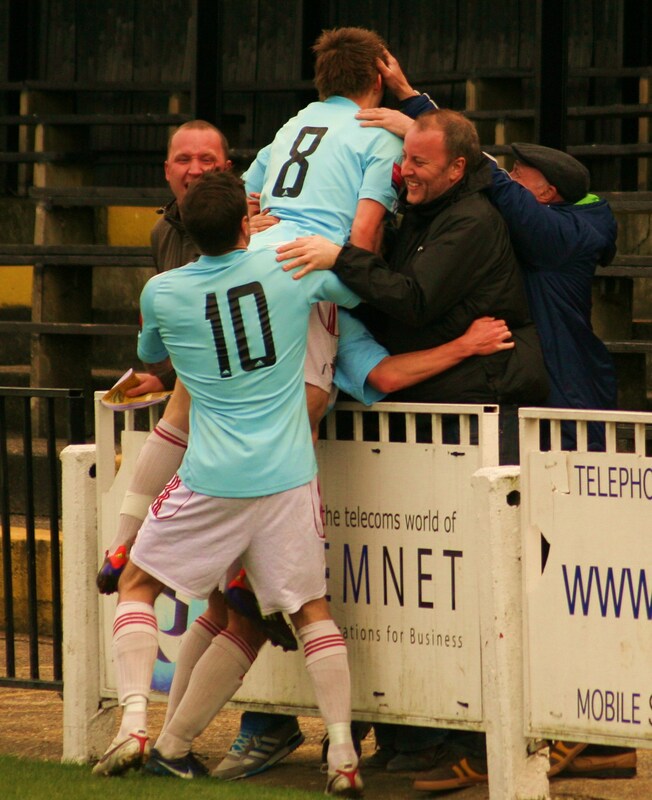 In addition they had the small matter of the Ryman Cup final next week versus Eastbourne Town. The Youth team are one game away from winning the Ryman League South (albeit they have to play the team who are top, away and win by three clear goals). And then there is the first team. Cray Wanderers continue to surprise me. They are a tiny club in comparison to the likes of Lowestoft Town, Wealdstone or Lewes. They ground share with Bromley FC, have average attendances of 193 this season and rarely take more than a Smart car full of fans to away games. Yet, just like last season, they are still in with a shout of promotion via the play offs. The club also dream of “going back home”. When they were founded back in 1860 by workers building the railway line through Kent they were the third oldest club in the world. Quite who they played during this period is unknown as the two others were local neighbours Sheffield FC and Hallam. For those unfamiliar with the area, the Cray is a river than used to run from the Thames Estuary, close to Dartford and down towards Bromley. However, the club have not been able to find a home back in this area for decades. Hope is on the horizon though and they are planning on developing a site in Star Lane and have made an excellent video about their plans. 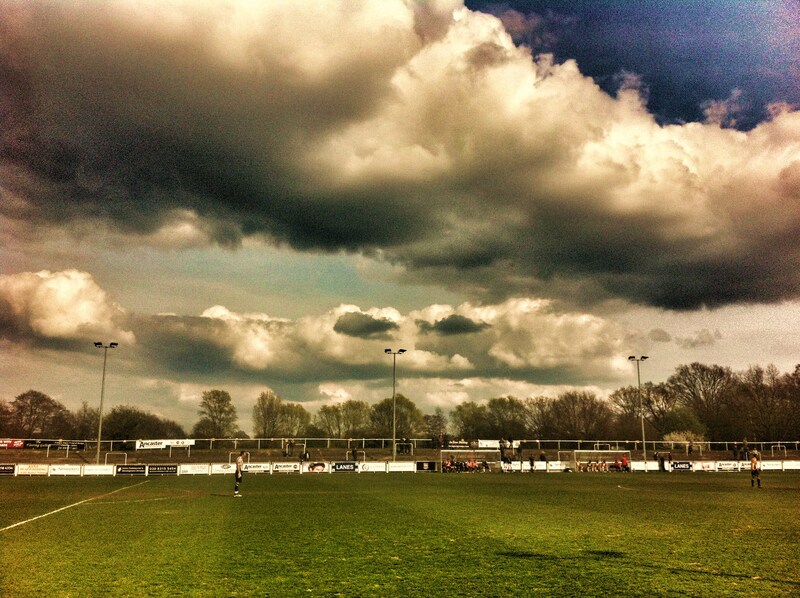 But today playing at Hayes Lane, Bromley suited me fine. A short journey 15 minutes from TBIR Towers and I was in the quite bizarre Barrel and Hole in Bromley High Street. £5.15 for a pint of Innis and Gunn wasn’t the first surprise – that was reserved for the prevalence of rocking chairs instead of normal chairs and big luggage cases instead of tables. Quite a strange choice to meet the rest of the Lewes Lunatic Fringe in. So much so than they took one look of the picture I tweeted and headed into Weatherspoons opposite the station. Cray Wanderers 0 Lewes 1 – Hayes Lane – Saturday 14th April 2012 Current form doesn’t lie and so coming into this game Lewes were top of the table from the last eight games. And bizarrely at the end of 90 minutes they had dropped down into third place despite another excellent win on the road. It certainly was a game of two halves as Lewes dominated the attacking play in the first half, and showed strength at the back in the second. One Ian Draycott header was enough for all three points and finally, after months of downward trending, push the Rooks back into the play off zone. There was two surprise guests when we arrived at the ground. First up was Current Mrs Fuller, who had manage to escape from Littlest Fuller duties for an afternoon and thought she would spend some time with the man of her dreams. But he was busy so she came along to football (boom-boom). And then in the bar was none other than Steve King, ex-Lewes manager who had come along to cheer the team on (I would imagine). Lewes started the more positive of the two teams, with young Charlie Leech slotting in a full back instead of Kamara and Chris Breach back in midfield. For the first twenty minutes the ball hardly left the Cray Wanderers half, although there were few chances. However, it was inevitable that a goal would come and sure enough on 25 minutes it was the Rooks who took the lead when Ian Draycott stooped to head home with ease after a well worked move involving Harding and Crabb. It should have been two or three by half time with Crabb and Booth both going close, testing the Cray keeper, whilst Matt Ingram at the other end could have had a wander into the Town Centre such was the threat on his goal. The second half was really a battle of the midfields, with Lewes’s unlikely pairing of centre-back Chris Breach and centre-forward Ian Draycott dominating the play. Nathan Crabb was the star again, simply for his continuous running and chasing and he was unlucky not to double the score when Harry Harding’s free kick fell at his feet but for a great save by the Cray keeper. The clock ticked down and we amused ourselves by looking at the score at Upton Park where Brighton had been hit for six. I mean, who would fancy paying £45 for that type of privilege as an away fan eh Mr Last? (Especially if you have to sit in the home end to witness it). Other results started filtering through before the 90 minutes were up in our game. Wins for Bury Town, Wealdstone, Canvey Island and Hendon took the gloss of this victory for Lewes, but even still, the win pushed us into 5th place and come the end of the season that would be enough to go into the play offs. Two weeks to go and next up would be a trip to the seaside to visit the Beach Boys at Concord Rangers. Time to get out the fancy dress I think.